Sixteen-year-old Elizabeth Meyers is an overweight, unhappy teenager enduring a dreary suburban life when her grandmother awakes from a catatonic state and announces that the two of them must go to France and solve four magical puzzles to reach a long-lost prince from another world. Elizabeth doesn't believe this, of course. She has no intention of helping her grandmother escape the nursing home, elude the authorities, find a way to steal passports and fly to Paris. And yet Elizabeth finds herself doing exactly that. At first glance, Elizabeth's Midnight would seem your ordinary story of an overweight, unhappy teen who resents and lives in suburbia - but take another look, because things are about to radically change when her grandmother suddenly awakens from a coma and drags them both to France on a mission to solve four puzzles to reach a lost prince from another world. What would a typical teen do if one's grandmother in a nursing home suddenly awoke and posed such a folly? 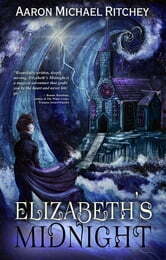 Elizabeth, of course, initially doesn't believe her; especially since her grandmother's proposal involves a series of illegal and dangerous activities, from busting grandma out of the nursing home to obtaining fake identification to travel overseas. But what is attractive is her grandmother's return to life and her unorthodox, sparkling invitation to adventure: something the shy Beth never longed for nor wanted before … and so begins a lovely blend of coming-of-age story, fantasy, and family relationships. Nothing is cut and dry here; not even Elizabeth's (initially unwilling) involvement and plans to cut and run (but only after she learns more). These three facets are the glue that holds Elizabeth's Midnight together and keeps it from becoming a predictable or standard fantasy. By placing Beth's insecurities and growth into an unusual adventure peppered with equally unpredictable results, Ritchey gives young adults plenty of compelling moments and events to keep them engrossed. Too many young adult fantasies focus on adventure without the necessary overlay of strong protagonist interactions or family ties. Elizabeth's Midnight embraces both and wraps all in a cloak of magic, making it a strong pick for advanced elementary to middle school grades.